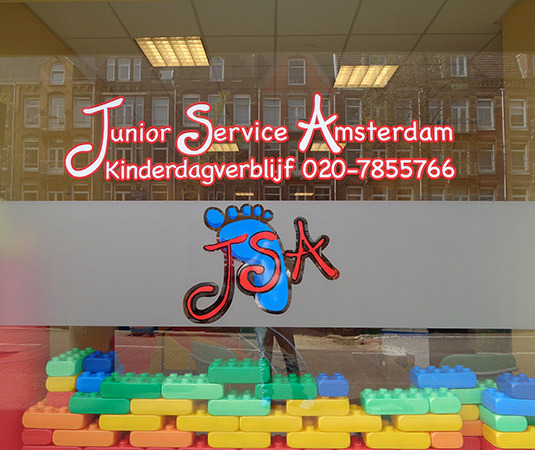 You are currently viewing “JSA 120”, our crèche located at Bilderdijkstraat 120 in the Oud-West area of Amsterdam. We are easily recognized by our large front window that offers lots of daylight and a healthy amount of visibility. 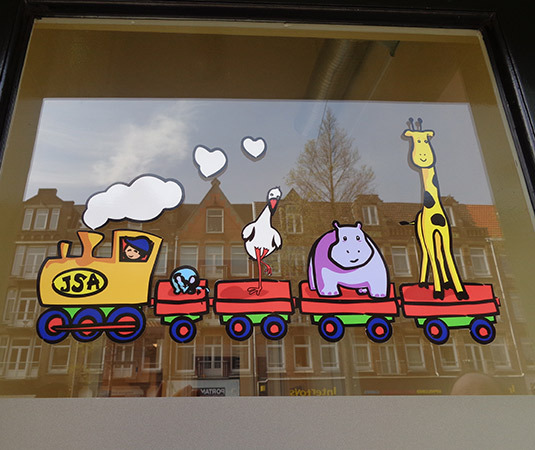 The space is cozy and homely and offers ample security, as should always be the case for childcare. 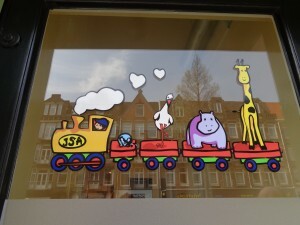 The space is divided age-appropriately for our vertical group of children, aged 0 to 4 years. In addition to the large play area, there is a smaller area that can be flexibly used for both vertical and horizontal groups of children to play, build or just be together. In the back of the large play area are dining/craft tables and to the left is a cozy kitchen. For the babies we have a large play pen, which can be used both indoors and outdoors, so they can play undisturbed and get fresh air, while the older children can romp to their hearts’ content. 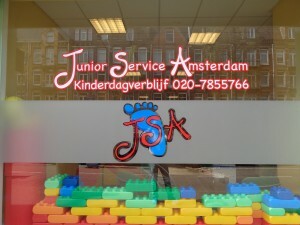 All children play outdoors every single day at JSA. Learning to play together by sharing a picnic when the weather is good, riding the (balance) bikes, quietly playing in the sandbox or just running off all that energy – the possibilities are endless! The children’s sleeping area has certified beds and there are cameras and baby monitors in place for additional observation. The sleeping area has a (securely locked) window and door for fresh air and the ventilation system is always on.